Treat a child to a school lunch. Is it time to sponsor a child? 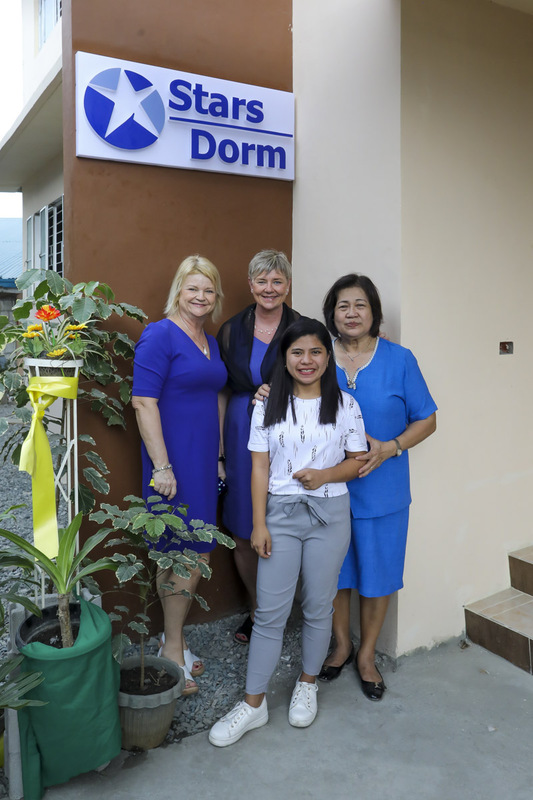 Finally, Star of Hope inaugurated its sheltered accommodation for vulnerable girls; it is called the "Stars Dorm", and is located in Taytay Rizal, just a few miles outside Manila in the Philippines. Gani, Lilling, Ulrika, Carina, Lennart, Annica, Maria and Frank all get a piece of the ribbon. A ribbon cutting and a tour of the accommodation, which will be put into use shortly was done. Maria Presson COO for Star of Hope was on location in Manila Ulrika Kallin CEO of Star of Hope International. 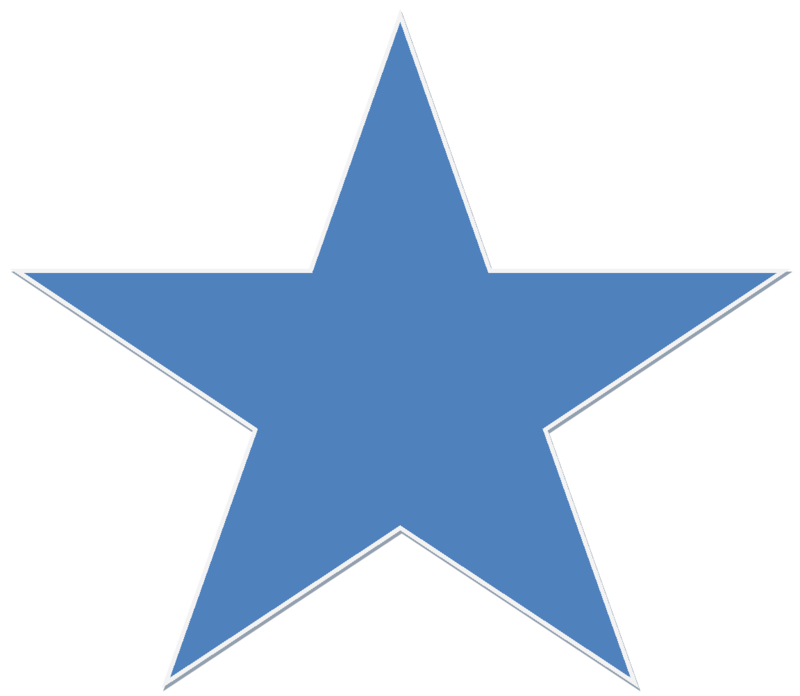 Our "Stars Dorm" is right next door to our flagship school in Taytay. That school is having a 30-year celebration this week as well, the school turns 30. 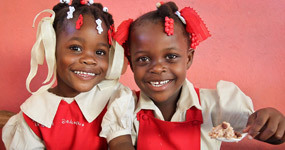 The school educates about 2,000 students daily. 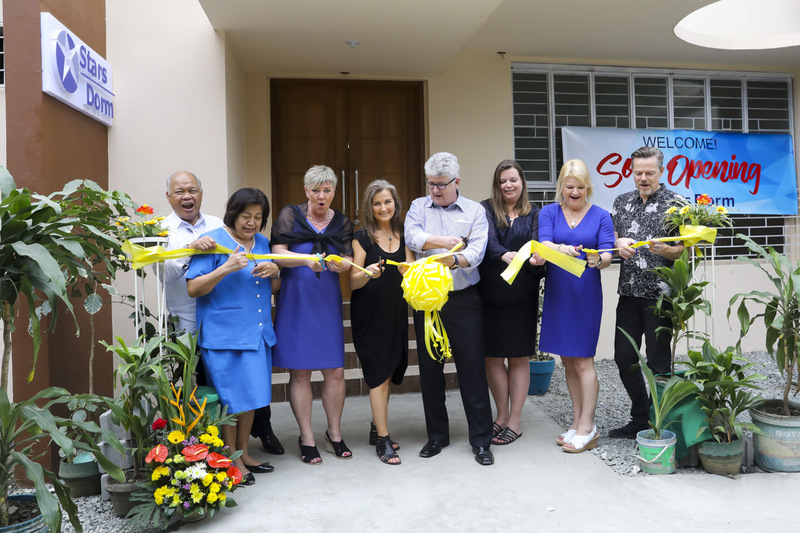 The idea of a sheltered accommodation was awakened a few years ago by one of Hope's Stars' Philippines manager, Liling Coruna. She has met many vulnerable girls over the years and wanted to help them. "Imagine if we could build a house where vulnerable girls could come and sleep - first and foremost", was her thought. Too many girls in the Philippines are sexually exploited and various types of terrible abuse are common in the slum areas, this includes Taytay where we have our school and project. Unfortunately and sickening, the abusers are at times from the same family, or near to the family. Unbelievable but true. 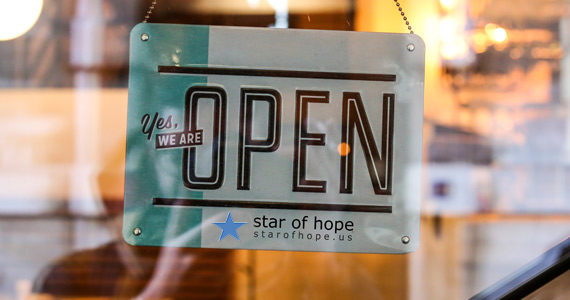 There is hope, we will help those we can. Through generous donations from the near and far we could inaugurate Stars Dorm, it is a blessing. Ulrika Kallin says "We will do what we can to help the girls, we will engage in their recovery and help them move into a healthy and productive lifestyle." Many thanks to all individuals, organizations, and companies who donated to this project. For the record, the building is finished, yet we still need help with the furnishings. Beds, linen, furniture, kitchen items, and so much more.